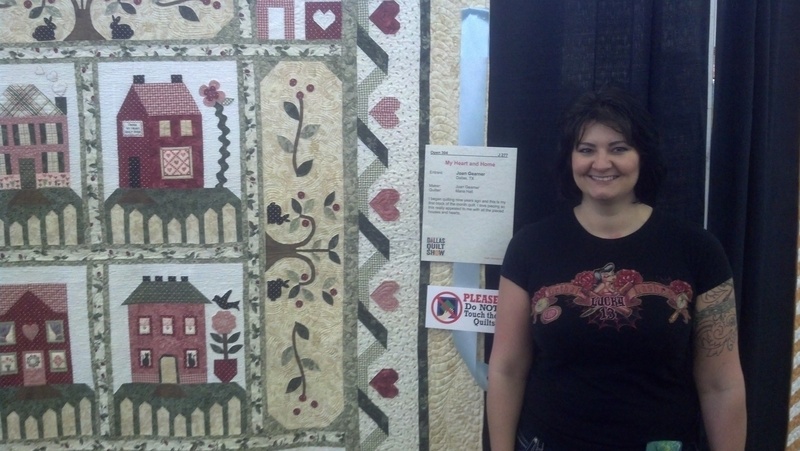 I figured it was about time to add a post about my trip to Paducah, KY to the great quilt show held there last week. Quilt Man was kind enough to pose with me for a photo before a class. I feel so special! He rode all over town on his Segway ensuring all quilters were greeted with his cheery smile and stamped with his autograph. I got a fancy looking Q on my hand. 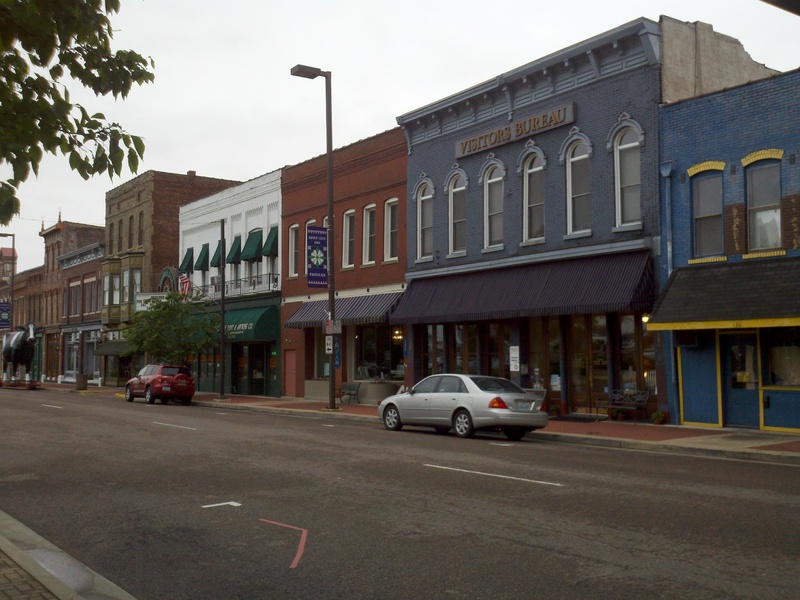 Paducah is an adorable small town, nestled in the southwest corner of Kentucky. I drove from the Dallas area, and it was a mere 9.5 hour drive. OK doesn’t sound ‘mere’, but it was a very easy drive, both ways. 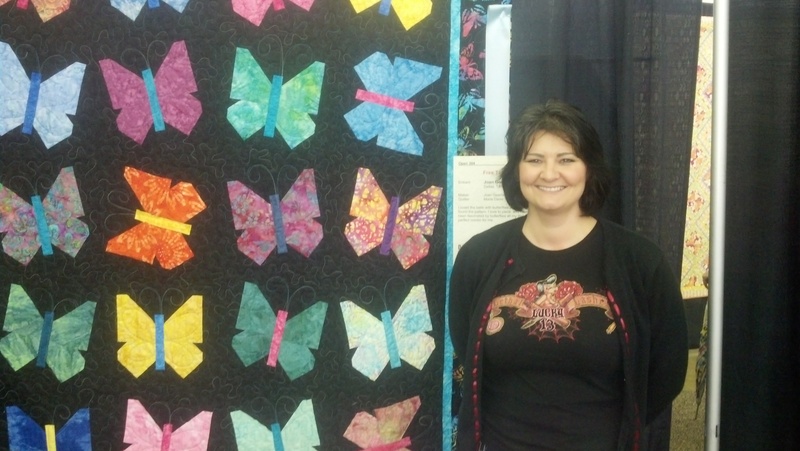 I stayed with a local lady that opened her home to visitors for the quilt show. How or why did I do that, you ask? Well, I booked my workshops back in December, and ALL the hotels and B&B’s were already booked full. But the Chamber of Commerce understands that the population doubles every year during this week, and that the hotel accomodations aren’t sufficient. So they have this great program for which you can apply in February, to stay with a local resident for a reduced rate (AND they provide breakfast). So my stay was lovely, even with the thunderstorms and threats of tornado activity (like I’m not used to that from Texas!) I had the opportunity to spend some time in the downtown area, which was quaint and fun to browse. I am happy to report that if you ever chance to visit Paducah, during the show or not, there were some great little restsaurants from which to choose to dine. Whaler’s Catch had THE BEST fried okra ever! Mother Duncan’s Pub had wonderful portobella mushroom dishes (great for the vegan :)). Shandie’s had some interesting dishes as well. 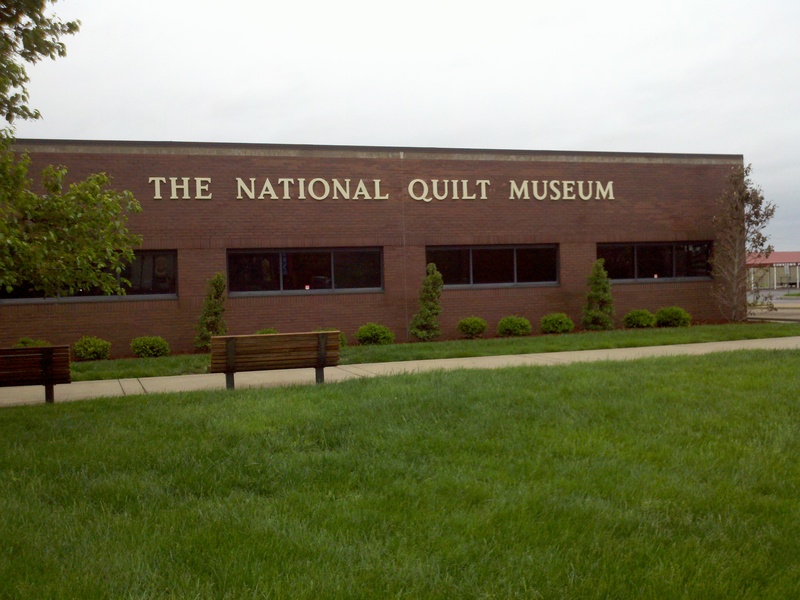 I spent a significant amount of time at the National Quilt Museum, mostly taking classes, but also checking out the museum. 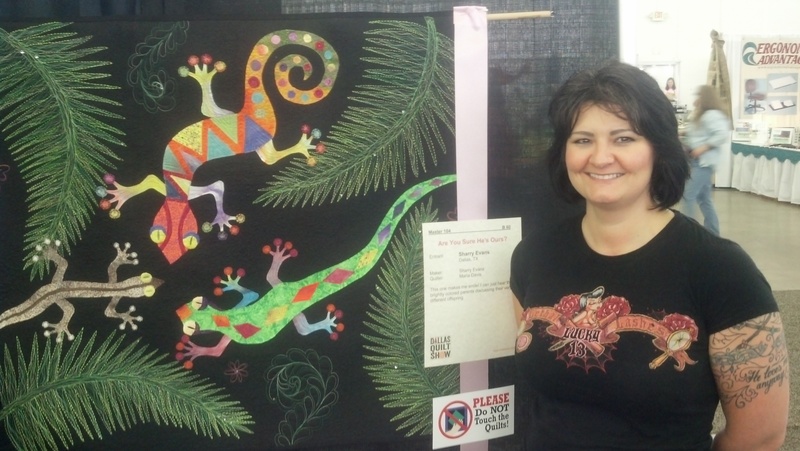 It was pretty amazing, not only offering a showcase of older quilts (theme orange this time around, which offered an interesting perspective), but also many modern works of art, that just happen to be quilts! It truly is a gallery of eye candy that would please many palletes. All in all, there were TONS of vendors, TONS of restaurants and scenery to check out, and lots of friendly people available to chat with. 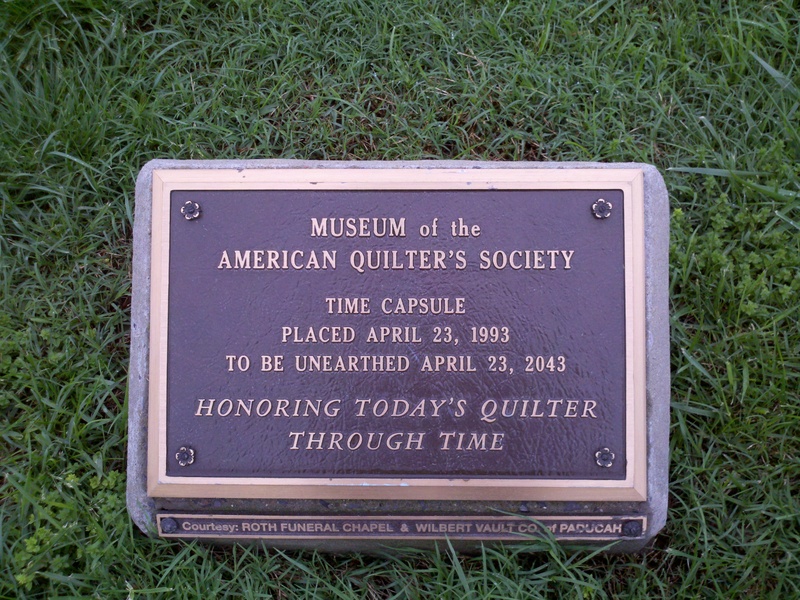 I would highly recommend a visit to the town, AND the quilt show. 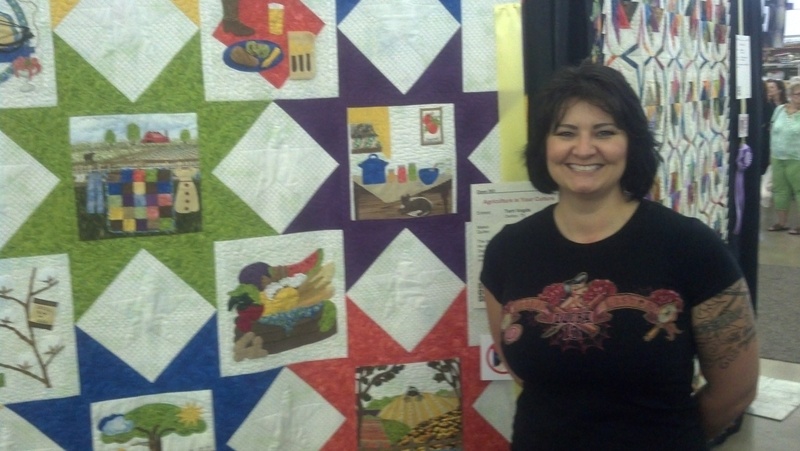 There were many beautiful quilts to see and informative classes to take. 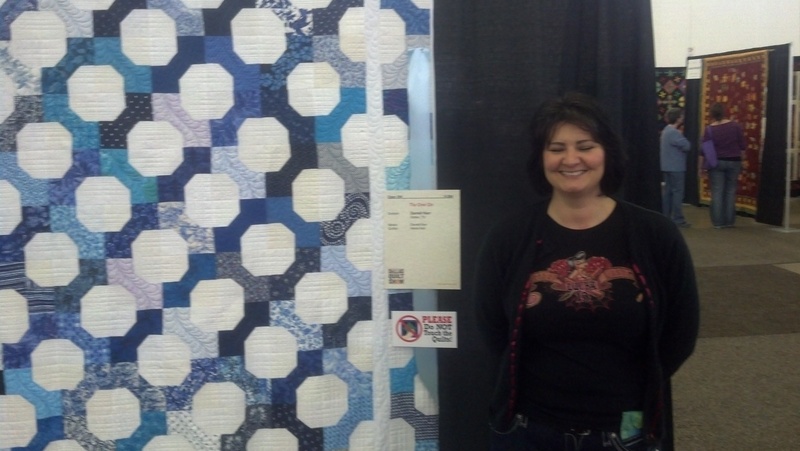 Paducah KY quilt show was amazing! AMAZING! seriously, it was really great. Dont take my word for it, check this out! 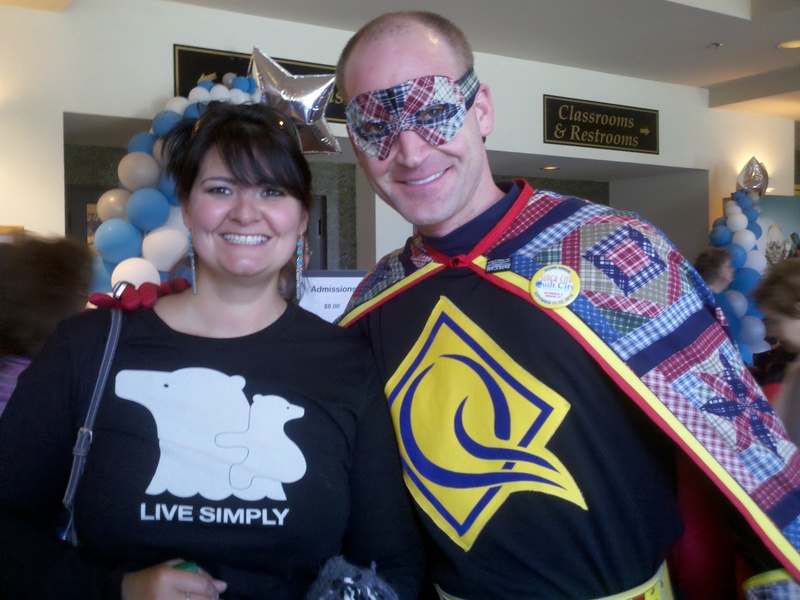 This is a link to the webcast that is STILL available for you to view! You can choose some of the classes that were offered through this link to view the course as if you were actually there (and at a much reduced rate)!!! 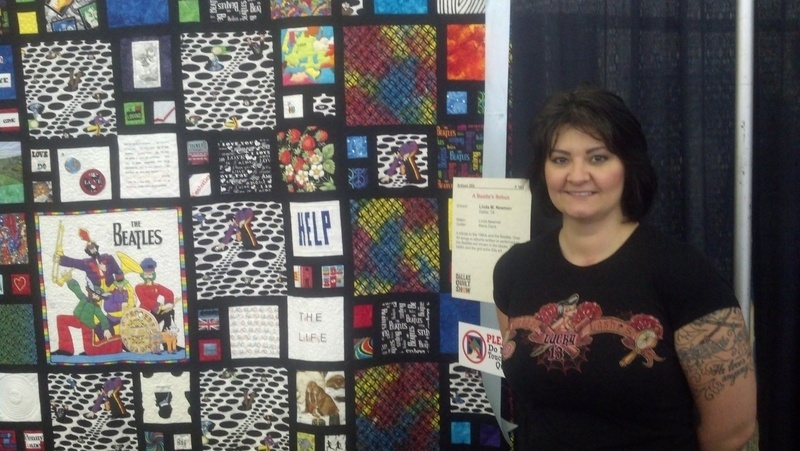 That will bring you straight to AQS, where you’ll find info about the quilt show and winners. 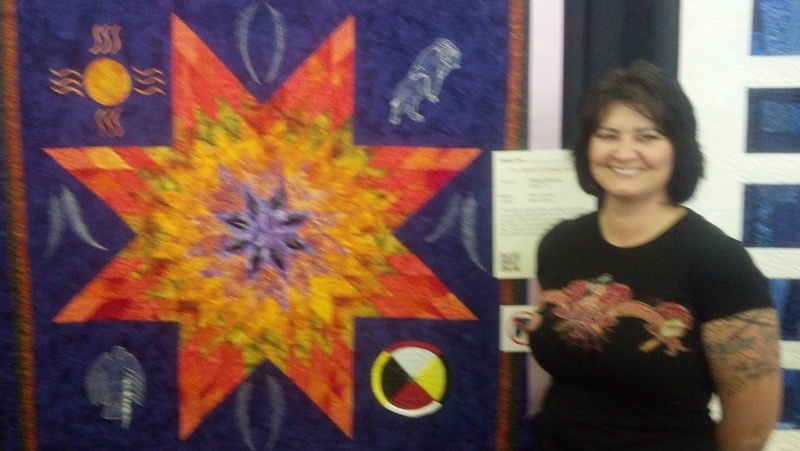 I attended for 3 days, spending each day in a 9a-5p class, and one 6-8p class. 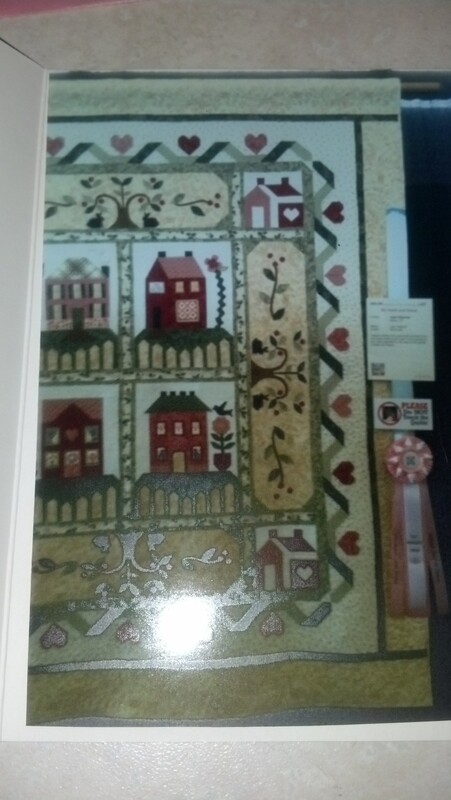 I (barely) had time to see the wall hanging and bed sized and mini winners, some vendors, the huge fabric shop and the lovely downtown area of Paducah while I was there. There was more to see and more to learn, so I already have plans to return in subsequent years. Despite the rain, I thoroughly enjoyed my trip. I stayed with a local woman, who opened her home to me (she didn’t have internet, which was limiting, but otherwise the experience was fantastic). She fed me in the morning, and provided me clean towels and sheets on a wonderfully comfortable bed every night. It was cozy and comfortable, as well as convenient. To anyone inquiring, I would recommend a visit to Paducah. 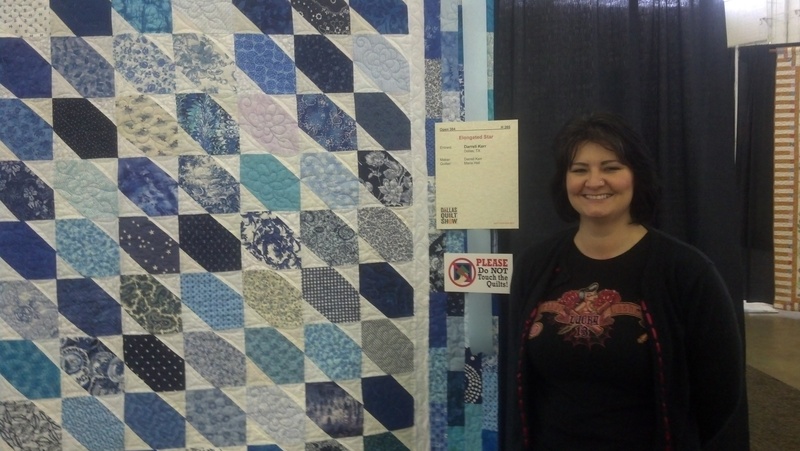 And if it’s during the quilt show week, stay with a local!